the thing about labor day week you might get a paid day out of that week . Unfortunately at this time with my family life, I wouldn't be able to make a trip that far away. Hopefully once all the kids are grown, I will make it one day. One of the thing's I love about riding in West Virginia is the elevation changes. When it's hot out side you can ride down to the creek level find some shade, and it will be 15 degrees cooler than up top in the sun. And vise versa when it's cooler out you can ride up top of a mountain and trail break in the sun. Yeah dunes are fun... Have you ever been going up one side intending to fly the top only to find someone going up the other side right in your path? Can make for a very bad day. Lets hope you never have it happen to you... A good practice is to have one of your party stationed at the top to head off anyone headed the other way. Another thing I noticed is, you posted in your sig., you have your airbox removed... Not good for sand! Sand is more than just sand... it has lots of fine sand particles and dust that can cause all kinds of havoc on a motor. an air box does not filter out sand . it does make for a good splash guard ,but I stay away from that kind of water . I will be making and installing a paper type of filter . why ?? because its the best for keeping even the smallest of dirt particle's from getting through. no air box also allows for a bigger filter , meaning dirt is far less likely to be drawn through and that is because there is more surface area on the filter. made one for my LTZ , do you want to see it ? did you know they just added 15 new miles of trail to rockhouse ? My brothers and I will be making a Glamis trip from OKC in March 2016. First time going there and can't wait to see what it has to offer. I'm only 2 hours from Little Sahara and its a good place for what it is but I want to see some monster dunes. Taking 4 wheelers and my Maverick. No, I have never road any of the HM trails. My family lives in WV. And there is endless riding, anywhere you go in that state. Most of them think the trail system is a joke, and I can't bring my self to pay the $50 for the trail pass. Some of there friends do it, just cause you don't have to worry about the trails being blocked or washed out. 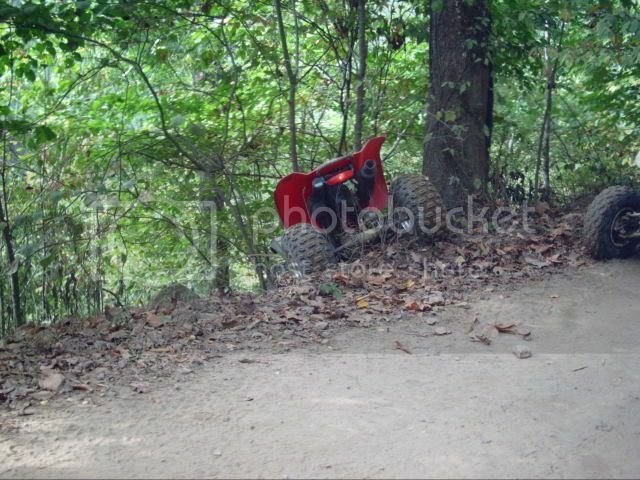 Also I'd have to trailer my quad there just to ride, when I can take off from there driveway in any direction.